Mr. Colegrove has over 25 years’ experience in Investigation and K-9 Detection fields. Mr. Colegrove advanced the Oconee County Sheriff’s Department K-9 Unit and also started the Criminal Enforcement Highway Interdiction Team. Mr. Colegrove, while supervising the team, was recognized as one of the best in the country in Highway Investigation and as a K-9 handler. Mr. Colegrove is responsible for hundreds of millions of dollars of cash and drug seizures on Interstate 85. Mr. Colegrove has held seminars in several states for local and state law enforcement officials. The classes cover Highway Interdiction and body kinesics while conducting traffic stops, as well as proper techniques for deploying K-9 and locating hidden compartments. 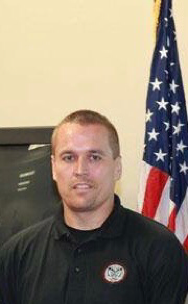 Mr. Colegrove is certified in state and federal courts as an expert witness in Investigation and K-9 handling. In 2008, Mr. Colegrove started DCT Detection, LLC.